Olivet School of Media and Communication (OSMC) hosted practical photography training beginning last week at the Olivet University (OU) Riverside Campus. Students learned techniques that included location lighting, photographing in low-light situations, narrative storytelling and application of core photography techniques in a real-world setting. This recent development is part of an initiative in establishing the core workforce for OU Riverside's Media Team. "I am very happy to attend the training and learn to take photos in a professional set up," shared Kristina Ran, a second-year graduate student at OSMC. During one of the prayer meetings in Riverside chapel, she had to photograph with the lights turned off. "Admittedly, I never expected taking pictures in darkness using an artificial light source," Ran later shared. "Shooting in the chapel with professor Hudson [Tsuei] helped me a lot and gave me the confidence to go beyond my comfort zone. I will use this opportunity to learn well and improve my photography skills to serve God and record the history of people of God." To qualify, participants had taken prerequisite classes in photography and photo-editing. Additionally, participants of the program need to be familiar with basics that include composition, lighting, expression and motion. Students began the first instruction session learning crucial techniques such as equipment care, onsite light metering and setting up strobes. The following day, students began practicing their newly learned skills as two-person teams. All throughout the training regime, the instructor was on hand to render both instruction and assistance to the students. 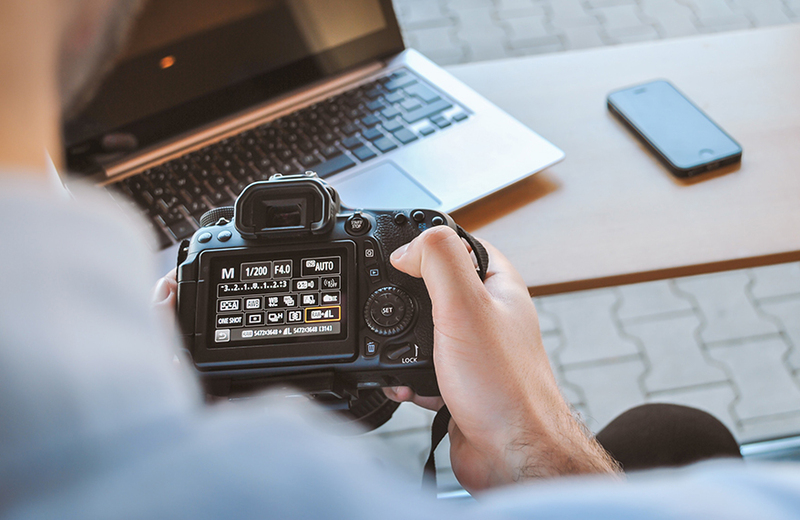 To facilitate working under constantly changing environments, students have been taught to be familiar with various camera systems such as Nikon and Canon. Other equipment provided for training include small and medium-range telephoto lenses, which are standard to events-based photography. Earlier this year, the OU Riverside Campus gathered OSMC students to generate content for the university's public website. Also, a social media team was formed to deepen networking and strengthen branding.